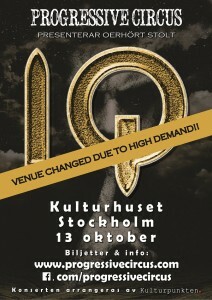 We’re extremely happy to welcome IQ back to Sweden for their second ever full length show in our country! Due to a much higher demand than first expected, we have decided to move the concert to Studion at Kulturhuset, which is supercentrally located at Sergels Torg and run by Stockholms Stad. 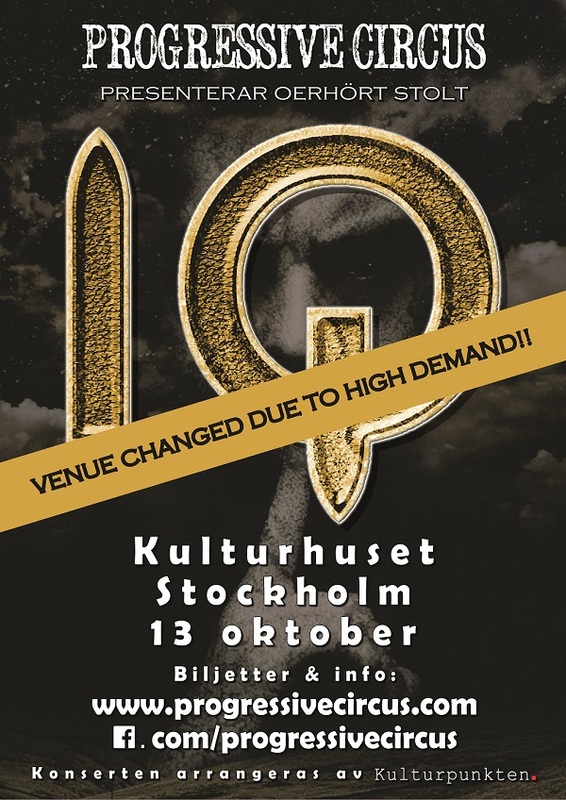 We have taken this decision to allow more IQ fans to catch this very special event, instead of selling out Bryggarsalen almost 2 months before the concert. The move will also give IQ’s impressive three screen stage production better conditions to come to its full right. The date to note is October 13th and we will of course arrange Prog buses to this event as well, but going north for a change.